Weddings are exciting times for the bride and groom, but finding the right gift can be less than thrilling for the guests. We know you’ll find something that the couple will be proud to show off and happy to use again. Need inspiration? 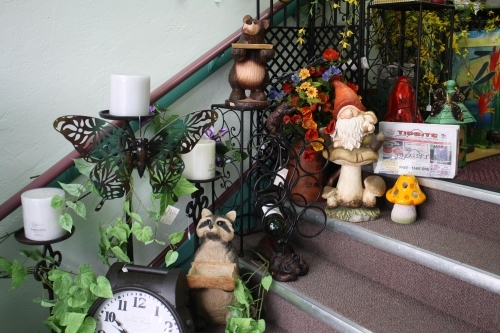 Check out our photo gallery or stop in to see our selection. Finding the right birthday gift can be challenging, but we make it easy. Shangri-la Boutique’s large collection of charming merchandise includes unique gifts that are thoughtful and personal, perfect for any recipient. Add a touch of charm to your outdoor living space. Shangri-la Boutique offers a wide variety of outdoor home décor that will make your backyard an extension of your living room. Browse our photo gallery for inspiration. Shangri-la Boutique has something for everyone. Find your favorite indoor home decorations right here at Shangri-la Boutique. Whatever your budget or style, we have what you need to make your house a home! Geroge and Jeanne Ehmer started restoring this former Carnegie library building in 2005. 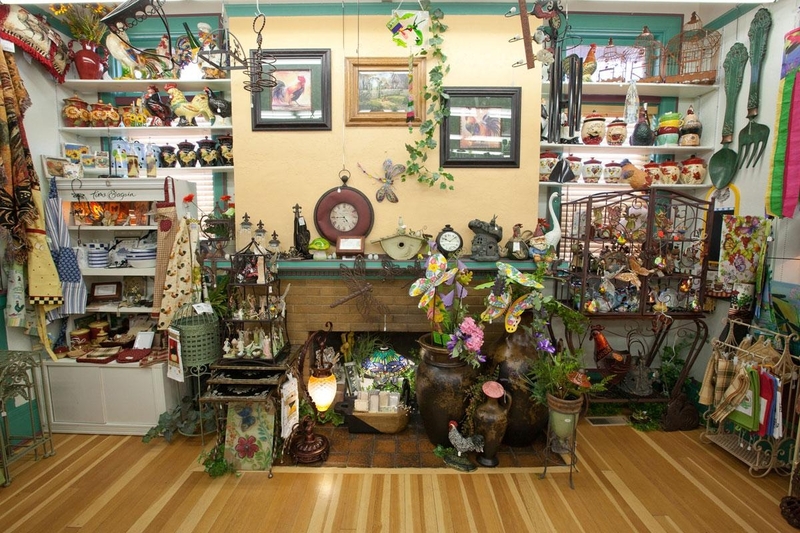 It now houses a large, attractive boutique filled to the brim with a wide range of quality, ever changing, unique home decor and giftware. Inventory turns over quickly allowing for a continual flow of new, exciting items. This is definitely a place to discover! And remember... no sales tax in Oregon.